Wow! 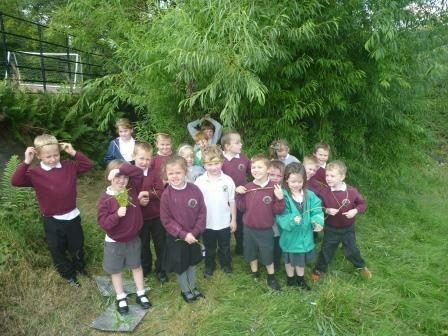 Primary 1-4 have been learning everything there is to know about TREES! 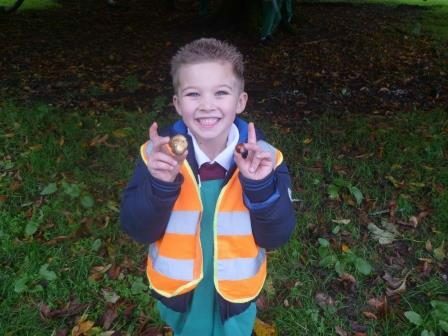 We went a big walk into the forest to collect conkers recently. We also made collages in the playground with various other interesting things we found, for example pine cones and strange shaped twigs! 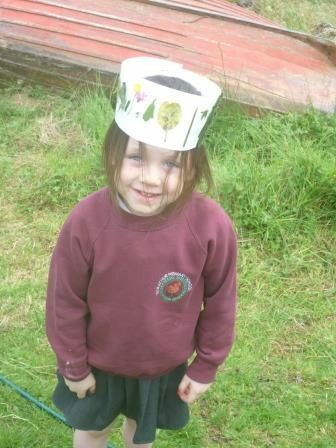 We made crowns decorated with different shaped leave and petals from wild flowers. Our teacher, Mrs Leyland, told us what trees the leaves had come from. 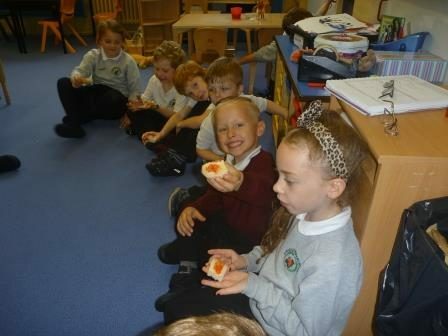 We collected apples from the orchard in our school grounds and baked apple crumble with our teacher, it was yummy! We also made jam with rowan berries from a rowan tree along the road from our school. 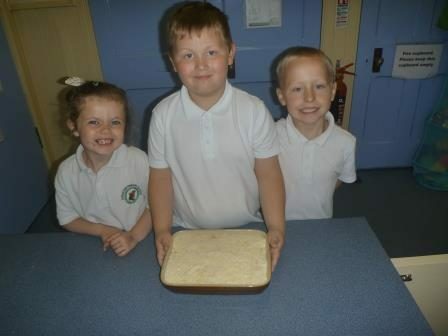 Mrs Leyland baked fresh bread at home and brought it in for us to put our jam on. It was delicious! We are very lucky to have all these things around our school to help us learn about our environment. This looks amazing and fresh bread with jam yummy ! 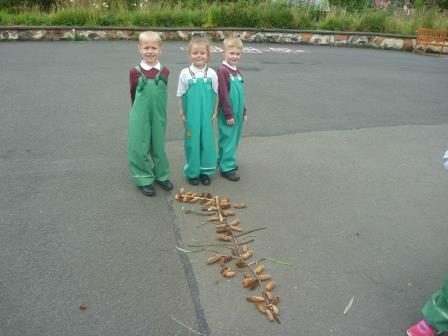 You might want to get in touch with the children at Colgrain.We like to learn outdoors too. Thanks Johanna. I’ll pass your message on to the children.